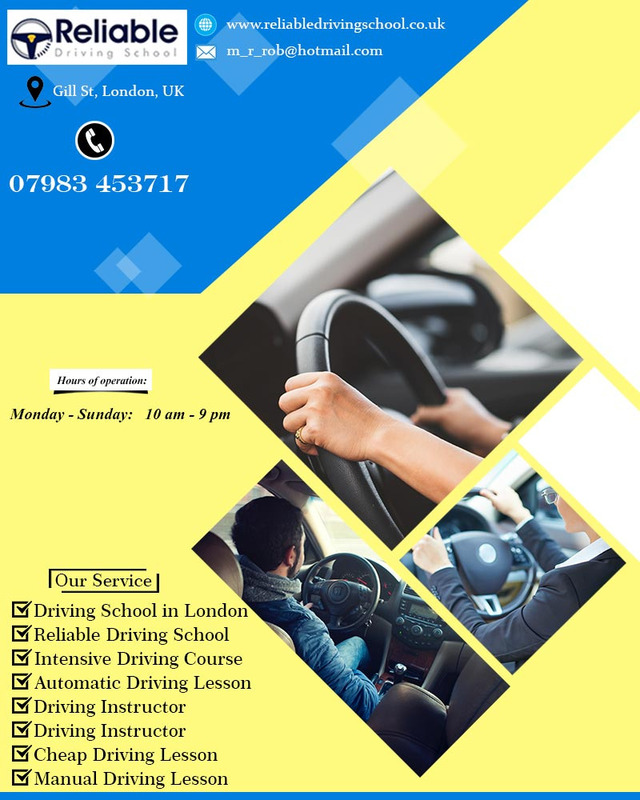 People are highly excited for their first driving lesson but, the experience is completely dependent on the instructor and the institution. Reliable Driving School is the right place to seek help for driving lessons. The company provides services in Tower Hamlets, Newham and London. They have been serving people for many years thus have a long list of happy clients. If people require assistance for manual driving lesson or pass plus training, you are free to contact the professionals. Visit the website of the service provider to acquire some knowledge about the company before availing their support. Contact now! Hours of operation: Monday - Sunday: 10:00 AM - 9:00 PM.